At a Bedouin camp north of Nuweiba is a dive site called Ras Shetan or Devils Head. Its highlight is without doubt its incredible mountain scenery as you get the feeling of diving through canyons and superb mountain ranges. 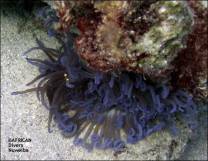 It is also famous for its amount of anemones; species you will see are red, green and purple anemones. It is possible to experience deep diving here as there are some excellent pinnacles and beautiful coral formations at depth deeper than 40 meters. 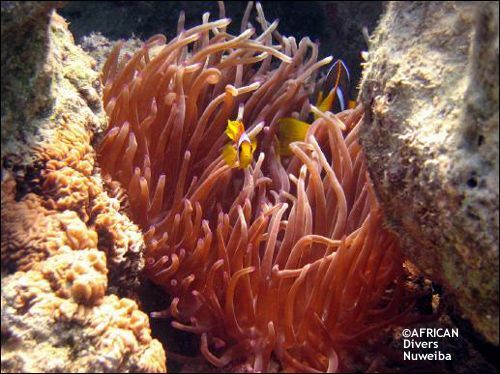 In short a stunning mountain range, very nice coral and marine life is vivid.